Hollywood famous actress & super model Jessica Chastain on the cover page of world top fashion magazine Vogue Magazine USA adition for the month of December 2013. Making her first public appearance with her boyfriend, Chastain steps out on the arm of Gian Luca Passi de Preposulo at the Women in Film 6th annual Pre-Oscar Cocktail Party. He’s in the fashion industry, the actress tells Katie Couric of her beau. I have a rule I don’t date actors, so he’s not in the business at all. 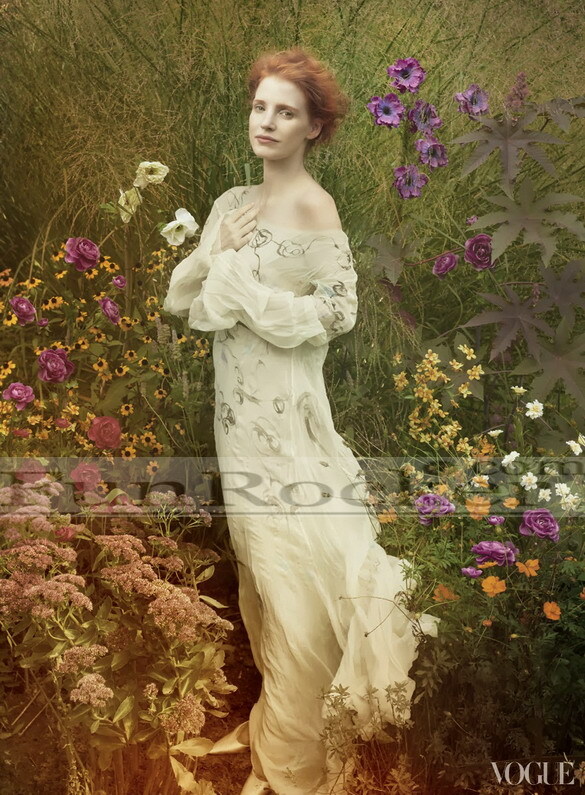 Anyways Jessica Chastain Vogue Pictures. The stunning beauty Sonakshi Sinha, is an Indian bollywood actress. Sonkashi Sinha is the new cover girl for the Grazia Magazine for the month of November 2013. Sonakshi worked in several movies and currently in 2013 she working on two more movies R…Rajkumar & Ishaqzaade 2. She marked her debut in the Hindi film industry with 2010 Blockbuster film Dabangg opposite Salman Khan. Sinha next appeared in Rowdy Rathore (2012) alongside Akshay Kumar. Checkout the cover picture below looking so beautiful and gorgeous. Indian beauty sexiest actress Chitrangada Singh cover shoot for famous fashion magazine Harper’s Bazaar Magazine for the month of November 2013. In her interview, Chitrangada speaks about her rise in Bollywood and how she is forging a career that’s free of a popular template. She shares details about her personal life, her early childhood and how a popular filmmaker discovered her in a restaurant in Delhi. Checkout Chitrangada Singh hottest photos for Harper’s Bazaar Magazine. Bollywood beautiful actress & model Yami Gautam on the cover shoot for world most famous magazine Hello Magazine India adition for the month of November 2013. Yami Gautam made her Tamil debut with Gouravam directed by Radha Mohan, which was also shot in Telugu. Her first Boolwood is Vicky Donor with Ayushmann Khurrana. Anyways checkout Yami Gautam Hello Magazine Hot Pictures. Under Four Pillars International Pvt Ltd Banner Bollywood super hit film Rajjo directed by Vishwas Patil. The stars are Mahesh Manjrekar, Prakash Raj, Jaya Prada, Paras Arora, Tanushree Chakraborty, Dalip Tahil, Swati Chitnis, Kangna Ranaut. The hard-hitting musical film Rajjo that is based on the issue of the mujra houses that are dying a slow death in todays times will see the Sahitya Academy Award winner Vishwas Patil shoot it at the scale as opulent as that of the cult 1972 musical romantic drama Pakeezah. Talking about the backdrop of the film Vishwas said, We want to give a very realistic look to our film for which we are doing all our research. The writer of the film Atul Tiwari actually visited the bylanes of Hira Mandi in Lahore, Pakistan to aide us in building the sets of the places where mujra used to be performed in the yesteryears. 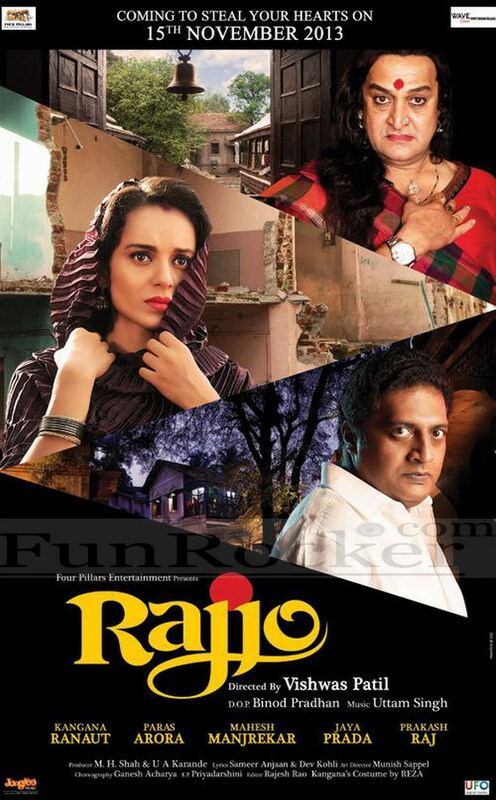 Produced by Four Pillars Films, Rajjo will also see Mahesh Manjrekar and Prakash Raj playing roles like never before. The musical will have compositions of renowned music composer Uttam Singh and lyrics by Sameer and Dev Kohli. Movie released on 2013. Here you can download free Rajjo First Look. Under Eros International, Next Gen Films Production Banner bollywood super hit Action film R… Rajkumar directed by Prabhu Dheva and produced of this film are Sunil A Lulla, Viki Rajani. The Stars are PShahid Kapoor, Sonakshi Sinha, Sonu Sood, Asrani, Ashish Vidyarthi, Mukul Dev. Music composed by Pritam Chakraborty. Movie Released on 06 Dec 2013. 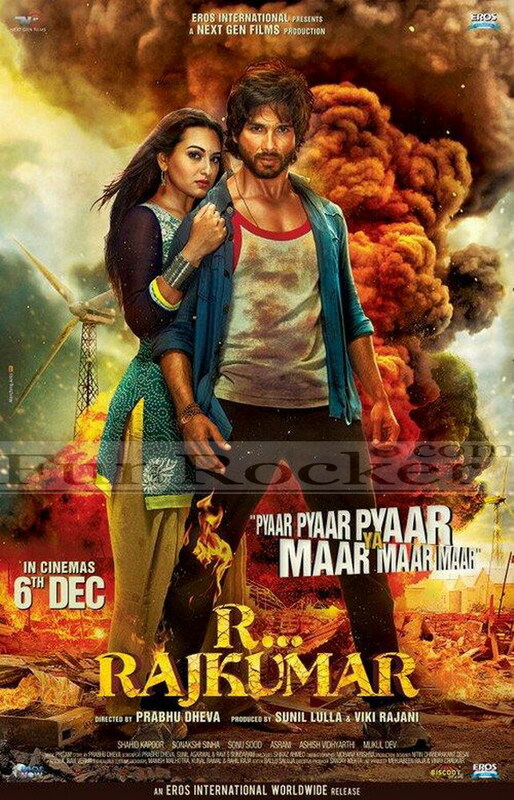 Here You can download free R Rajkumar First Look.